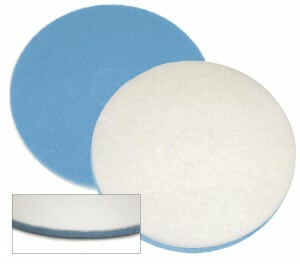 The line of Floor pads Corazzi is manufactured using Rando technology to guarantee everlasting results of the “non woven” web as well as the best spray and impregnation techniques for an optimal distribution of the abrasive grains throughout the web, thus obtaining the highest performances for any floor cleaning requirement. A Premium line, whose colours Black, Green, Blue and Red use 100% Nylon to enhance their performances and life span, is available. The Brown fibre, thanks to a specific structure of Polyester with a high concentration of resins and minerals, offers the utmost resistance when acids are used.The additional available lines Plus and Standard with polyester-based products, even if economically more competitive, provide a good performance level. High aggressiveness, suitable for heavy duty stripping before applying protective coatings, excellent for the removal of wax build-ups. High resistance to acid detergents.To be used wet and at a standard speed. Available in the lines Premium, Plus, Standard. High aggressiveness, specially conceived polyester structure with a high density of resins and minerals. High resistance to acid detergents. To be used wet and at a standard speed. 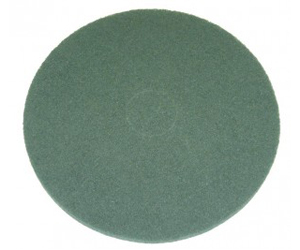 Medium aggressiveness, suitable for light duty scrubbing of unprotected floors. To be used wet and at a standard speed. Low aggressiveness, suitable for spray cleaning. Excellent to remove surface black marks without affecting the protective layers. High colour fastness. Standard speed. Low aggressiveness, suitable for finishes, maintenance of dirty floors and frequent cleanings. Standard speed. Abrasive-free, suitable for floor polishing. It is advisable to use it after a damp and dry mopping. Standard speed. Available in the lines Premium, Standard. Abrasive-free, suitable for light cleaning and floor polishing under both wet and dry conditions. Max speed 500 rpm. Available in the line Premium. Abrasive-free, very soft web, suitable for floor polishing. Particularly recommended for delicate surfaces such as parquet wood floors. Standard speed. The white-coloured surface of the floor pad, made of a different web, identifies the side to be put in touch with the pad driver. 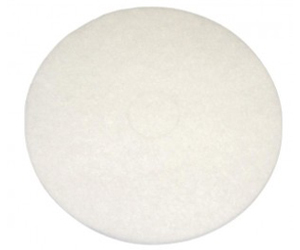 Abrasive-free, made of a mix of natural and synthetic recycled fibres, suitable for floor polishing. Standard speed. 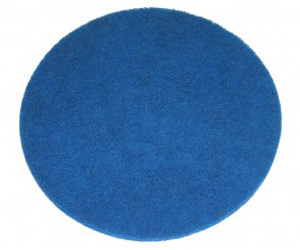 This floor pad, along with all other Corazzi items labelled as “Eco Friendly”, make available on the market a more environmentally friendly product range, ensuring high-levelled cleaning results.